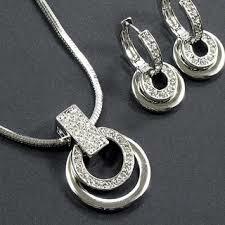 Sterling silver jewelry is a kind of jewelry which is worn in the same way as gold jewelry. Considered as an alternative to gold. This is made out of sterling silver which is an alloy of silver that contains 92.5% by mass of silver and the rest is a composition by mass of other metals preferably copper. This kind of jewelry can be worn on several occasions. Due to its quite simple look, blends into most occasions thus keeping you away from looking overdressed. This jewelry comes in several varieties for different parts of the body. It is much cheaper also and mostly preferred by people who cannot afford gold. In spite of being low in cost, silver at some places is much graceful and better suited than its gold counterpart. This sterling silver jewelry is specially designed to suit your ankles. While wearing it there it gives your feet a different look as well as feel and it also produces a soft chiming sound if you will walk wearing the same. This sterling silver jewelry is meant for the wrists of the wearer. Now over here a unisex factor occurs as bracelets can be worn by both the sexes. It all depends upon the design of the bracelet whether it is masculine or feminine in look. The bracelets which are quite broad in appearance are preferred by females only. The thin chain bracelets are preferred by men mostly but are also sometimes preferred by females. The next are Earrings: these are preferred by females only. These are small sized jewelry that hangs from the ears of the wearer adding beauty and grace to her face. Earrings which are bigger than conventional earrings are called danglers. 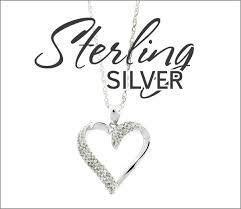 This sterling silver jewelry is worn around the neck of the wearer. It can be just a simple necklace which has no addition of pendants. Now this is also unisex jewelry but here also the design determines whether it is meant for a male or a female wearer. Mostly a necklace with pendant is preferred over just a simple necklace as pendants add an advantageous beauty to the neck and to the necklace. In case if the wearer is a female then the necklace along with the pendant is exposed outside whereas the case is exactly the opposite in case of a male. The most commonly faced problem with silver jewelry is tarnish. Tarnish is the process of blackening of the silver surface when it is exposed to constant environmental pollution, airborne chemicals and many more. The blackening of the silver gives an ugly appearance to the jewelry thereby snatching its beauty. The only best solution is constant rubbing and maintenance of it with Silver which gives a lustrous shine on the respective materials. It helps in removing the tarnish.